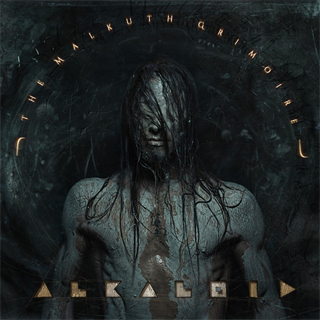 Back in March, a new metal supergroup Alkaloid released their debut album entitled “The Malkuth Grimoire.” The album release was successfully crowdfunded via an Indiegogo campaign, and Prog Sphere PR team was more than happy to be involved in the promotional aspect of it. 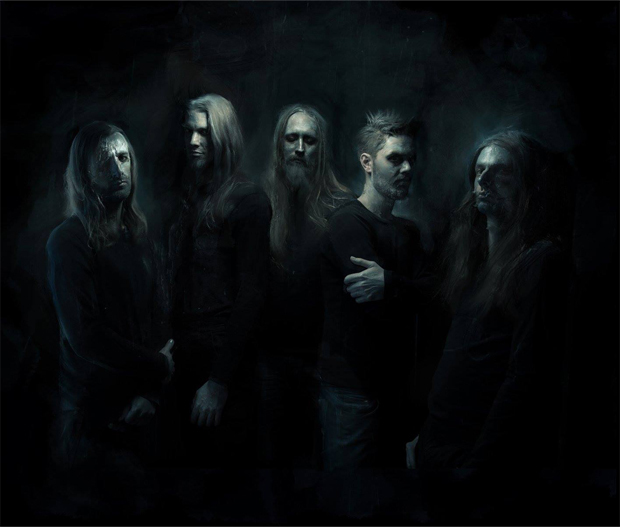 As previously described, Alkaloid merge extreme metal and other more diverse genres of music into a unique style that people will somehow find familiar, but haven‘t heard yet. Comprised of musicians that have already established themselves during the years throughout various death metal bands such Spawn of Possession, Obscura, Necrophagist, Aborted, Blotted Science and more, Alkaloid take their death metal legacy and transform it to forms that haven’t been explored much in the past. 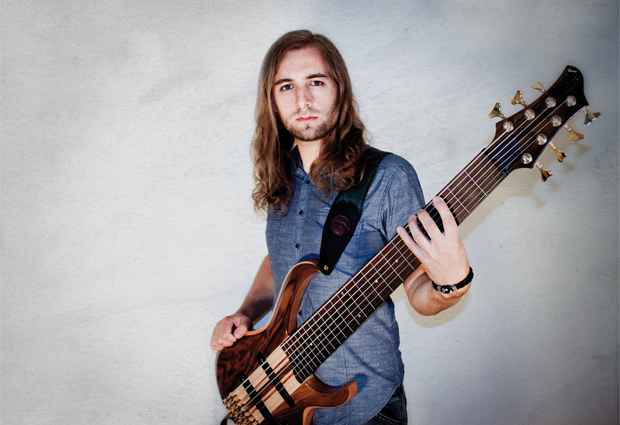 Prog Sphere talked with bassist Linus Klausenitzer about the band’s beginnings, the debut album, crowdfunding and future plans. How did you go about forming Alkaloid? Define the band’s mission. Already in 2010 Hannes [Grossmann] and Morean had plans to form a band together. They wanted to start a band where they could use ideas that didn’t fit to their other bands and projects. They wanted to be creative with no limitations or expectations from others. It took until 2014 until the circumstances allowed this band to be born. The musical idea was to make music with the main focus on dynamic – in volume, harmonics, tempo and all other aspects that make an arrangement interesting. On our debut album we recorded the most extreme death metal parts we could think of but also enough moments to find breath in between. You’ve recently put out your debut album entitled “The Malkuth Grimoire.” Tell me about the creative process that informed the record. Most of the compositions were already final when they were sent to the other band members who added their personal ideas and sounds. It’s hard to describe those creative processes of the main composers as they are very different. Hannes writes his music very intuitionally while for instance “Dyson Sphere” of Morean was written on a circular structure that was defined even before the first note was written. This year Hannes has opened his own recording studio (http://www.mordorsounds.com/) where we recorded almost all guitar tracks. I recorded the bass tracks at home and discussed them with the rest of the band via email and phone calls. Then we reamped my bass tracks in Hannes’s studio. The vocals were recorded in the studio of V Santura where the album was mixed and mastered. It took 4 weeks to mix the album. The reason for this extreme long time period was the complexity and the amount of layers in the band’s music. There wasn’t a lot of communication during the recording processes actually because everybody was on the same page anyway. The fact that everybody trusts and knows about the abilities of all other band members leaded to a very fresh and compromise free sounding album. Before we started recording the album we made some demos to get an idea of our band sound and what every musician adds to the basic compositions. One of those demo songs called “House of Life” didn’t find a place on the final album because it just didn’t fit to the rest of the material. In our crowdfunding campaign we offered the demo sound file as part of one package. Hannes, Morean and Chris [Muenzner] wrote down their ideas in midi files. Some guitar pro files were even including bass lines. Some were very rough, some were very detailed already. I used those notes as a guideline to write my basslines. How long “The Malkuth Grimoire” was in the making? Tell me about the themes this release captures. It’s hard to define a starting point of the songwriting as some songs of Hannes were actually written for the Obscura album. When it was clear that we want this band to become active the enthusiasm was immense. The themes are based on the intersection of science and magic. There’s a lot in this world we can explain easily by science but there are also some very basic facts we don’t understand. That’s when people start to talk about the existence of magic. Another example is the attempt to explain sexual energy and complex actions in a body with hormones being the protagonist. In the Kabbalistic tree of fife “Malkuth” is the final station that stands for the physical universe. A “Grimoire” is a book full of magical spells and miraculous signs. Humans like to declare events to be magical that they can’t explain themselves rationally. Science has already disproved millions of magical conceptions in history but still people believe in gods. Even if we don’t understand all aspects of our life, it’s necessary to realize that the physical world is complex enough to contain everything we call magic. The time period of mixing the album was way longer than we’ve expected. This led to more costs and some time schedule problems. We all have a lot of experience in album productions but it’s always hard to plan creative processes but in the end the fundamental goal is to achieve the best quality possible. Now I couldn’t be more happy about the result. For me personally the bass sound and the role of the bass in Alkaloid was the biggest challenge. I wanted to find a sound that is characteristic for my playing but also different to how I play in Obscura. I tried a lot of different sounds combinations until I found what I was searching for. ￼￼￼Speaking of challenges, is there a creative challenge to deal with in that the band members occupy similar sonic spectrums? ￼The use of different frequencies has a strong impact on a song. Since guitarist use low tuned 7 string guitars, you sometimes need to redefine the role of the bass. In the higher spectrums is more space to add colors to ￼metal nowadays. A lot of heavy riffs don’t sound better if you just copy the guitar line an octave lower. I think it ￼doesn’t make sense to go lower with another lower string because the bass loses punch. My main goal is to let ￼a heavy riff sound as powerful as it gets. ￼Provide some insight into the group’s chemistry that allows this music to emerge. We are just a group of friends enjoying making music together that we all like. The fact that we’ve all made music together in other lineups before helps us to know that we all follow the same ideals. There are a lot of people in the music scene standing on stage for the wrong reasons. As we knew about the characteristic style of every band member we didn’t need to discuss about parts and song ideals a lot. As nobody had creative limitations in any sense the album could evolve naturally and purely. For the purpose of releasing the album you did an Indiegogo crowdfunding campaign, and you reached the goal you set. What, in your opinion, is a key to a successful crowdfunding campaign? You need to follow the same principles as in usual marketing strategies. The basis is a good product that is unique which needs to be your music of course. The crowdfunding packages need to follow those rules as well. Promotion is also a very important part of a good campaign so people pay attention. I guess this is a good moment to thank Prog Sphere Promotions for supporting us to spread the word. We brainstormed about interesting packages and how to build up a close connection to the fans. They are the reasons why we could make this album happen so they deserve to be treated fairly and with much gratefulness. We prepared tons of video and picture material to give them insights of what we’re working on. I also want to mention that it’s very important to be honest, otherwise our society will lose this kind of financing art as well. Crowdfunding is a fantastic model but I can see how some bands and companies take advantages of supporters and use their money for bad reasons. Basically everything: When you express yourself musically your personality and your current live situation plays a big role. Look at all old trash metal bands for example. They wrote the most aggressive music when they were young and full of anger which they to compensate in composing. I don’t want to say that your musical output is worse when you are getting older but you need to let the music express yourself the way you feel now. What kind of gear did you use for recording songs from “The Malkuth Grimoire”? Chris and Danny [Tunker] recorded their parts with different Ibanez guitars. Morean plays BC Rich Guitars mainly. On our YouTube channel you can find a video with more detailed information about the guitar equipment they used. Hannes has a close partnership with Meinl, Tama, Evans and Vic Firth. To me this album was special because I mixed the sound of a fretless and a fretted bass the first time on a record. I wanted to have the extremes: a singing tone with a powerful, heavy, attacky bass sound. My main bass that I also use for the upcoming Obscura album is a customized fretless Ibanez BTB7- a 7 string instrument with an amazing tone and a lot of sound possibilities. Other parts are recorded with an Ibanez ATK and an Ibanez Ashula – a hybrid bass with 2 fretless strings and 4 fretted strings. I like that technology made it possible to use new ways to express music. The sound and the organization in a band would be different and more difficult without those modern tools. On the track “C-Value Enigma” Morean used the possibilities to create a song that is basically not possible to be played by a human. The notes are all played but cut together to construct a very unconventional sound. I work as a session musician on a regular base. When I’ve recorded the bass tracks in my home studio I transfer those files via Internet for customers all over the world. So technology even changed the business model of a musician these days. Music has different effects on people and can help in various situations in life. Everybody has different associations with different songs though. First of all we want to bring our music on stage. We can’t go the normal way of touring as our way wasn’t normal at all so far. Then we plan to record a video clip fitting to the visual and lyrical concept of the album. It needs to be very extraordinary in our opinion. That’s why it takes a lot of preparation. Then we will record the next album. A lot of songs are composed already.